Does your face always look dull? If yes, then there’s a chance that you aren’t taking enough care of your skin. After a certain age, we stop pampering our skin. As of result of this, our faces look lifeless and dull. Get the glow of your 20s skin back with Kaya’s Derma Regen Therapy. Facials have been a popular skin-care regime. Nothing perks up your face more than a good facial. Be it a family function, or any other important event, facials always play a major role in enhancing the radiance of your face. Unlike other beauty treatments, a facial provides multiple benefits—right from increasing the skin tone and removal of dead cells to reducing stress levels. When it comes to delivering perfect facials, experts at Kaya Skin Clinic know it all. Dermatologists there understand that every individual is unique and has different needs with respect to their skin type. 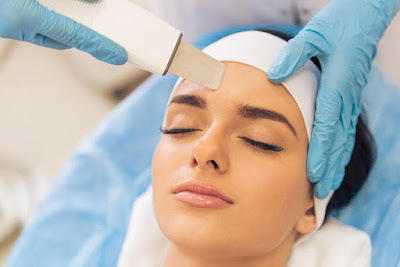 For this purpose, they have various types of facials to suit the different skin types. Kaya‘s Derma Regen 4 Layer Therapy is one such facial treatment that aims at rejuvenating the skin, leaving it flawless just after the treatment. 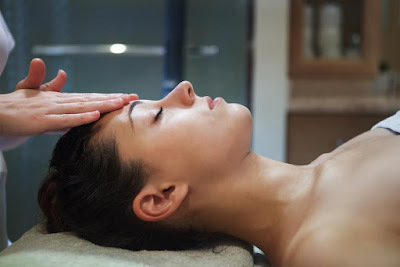 Let us take look at the steps involved in this exotic therapy. Kaya’s therapy involves application of four layers of European sea weed one after another. ➔ First Layer: Application of seaweed filtrate (the concentration of recently harvested seaweed) on the face. This greatly aids in softening the skin, restoring the even tone, and leaving the skin moisturized. ➔ Second Layer: The signature style massage from Kaya Skin Clinic, with a formula that is creamy, helps to hydrate and increase the elasticity of the skin. ➔ Third Layer: The seaweed mask further propels the hydrating action, as well as improves the tone and clarity of the skin. ➔ Fourth Layer: The final magic touch is the mineral mask. It helps to instigate the properties of the seaweed mask below, by providing a tender warmth. Go ahead and get yourself the Kaya’s Derma Regen 4 Layer Therapy to give a new lease of life to your skin today.